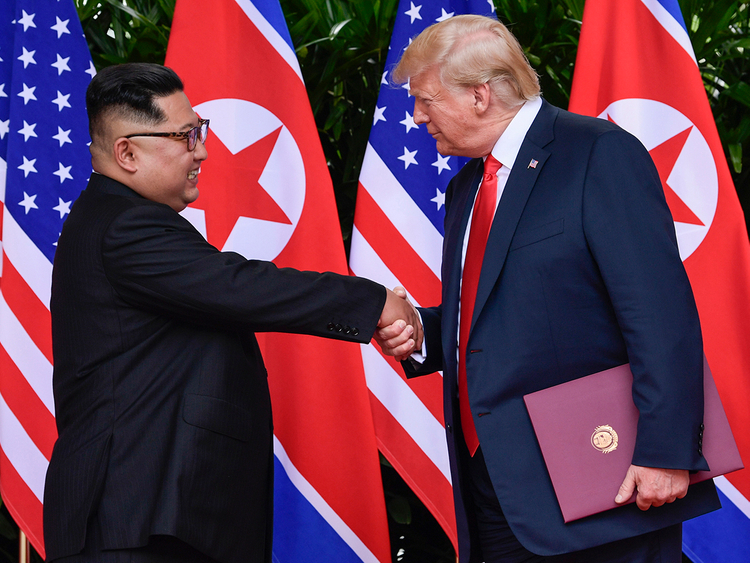 US President Donald Trump will hold a two-day summit with North Korea leader Kim Jong Un February 27-28 in Vietnam to try to convince him to give up his nuclear weapons programme. Trump has said that his outreach to Kim and their first meeting last June in Singapore opened a path to peace. But there is not yet a concrete plan for how denuclearisation could be implemented. US intelligence chiefs believe there is little likelihood Kim will voluntarily give up his nuclear weapons or missiles capable of carrying them. Private analysts reviewing commercial satellite imagery have assessed that the North is still developing nuclear and missile technology despite suspending tests. Vietnam ticks a lot of boxes. It is a short enough flight from Pyongyang for Kim, who otherwise travels by armoured train. It is also home to both US and North Korean embassies to help with pre-summit arrangements. Diplomatic ties between Hanoi and Pyongyang date back to 1950, and North Korea sent air force personnel to the communist North during the Vietnam War. While trade has dipped in the wake of UN sanctions against Pyongyang, it reached $7 million (6.1 million euros) in 2017. Kim's trip to Vietnam - it will be his first - could also be a chance for him to learn from Vietnam's post-war economic transformation. Vietnam might also be a strategically important location for the US, which is currently locked in a trade war with China - one of North Korea's closest allies. The Trump-Kim meet could pay off in more ways than one. Hosting the box-office summit could boost "Vietnam's status in the international community, which helps the country attract tourism and foreign investment", said Vu Minh Khuong, a policy analyst at the Lee Kuan Yew School of Public Policy in Singapore.